balance and helps develop better posture. Helen is the Director of Core Focus Pilates Australia. Helen’s interest and experience in dance, fitness and human movement began at the age of five while she was receiving classical training at John and Bernadette Taylor’s Ballet School. Helen's passion for dance and interest in a broader range of styles continued through her school years. After leaving school, while pursuing her personal fitness goals, Helen completed a Bachelor of Hospitality and Tourism Management at Edith Cowan University, which lead her to work as a Business Development Manager for a large corporate travel company. In 2015 she decided to follow her heart and commenced her Stott Pilates training after several years of personal Pilates practice. Helen makes her classes challenging and fun but most importantly she focuses on building her clients' core strength, flexibility and mobility. She has designed & styled her classes in a way that will excite her students, strengthen their bodies & most of all increase their love of maintaining their health & fitness. She modifies the traditional Pilates repertoire to make her highly professional classes more dynamic, imaginative and challenging. Helen has mentored her instructors to ensure consistency throughout the studios. 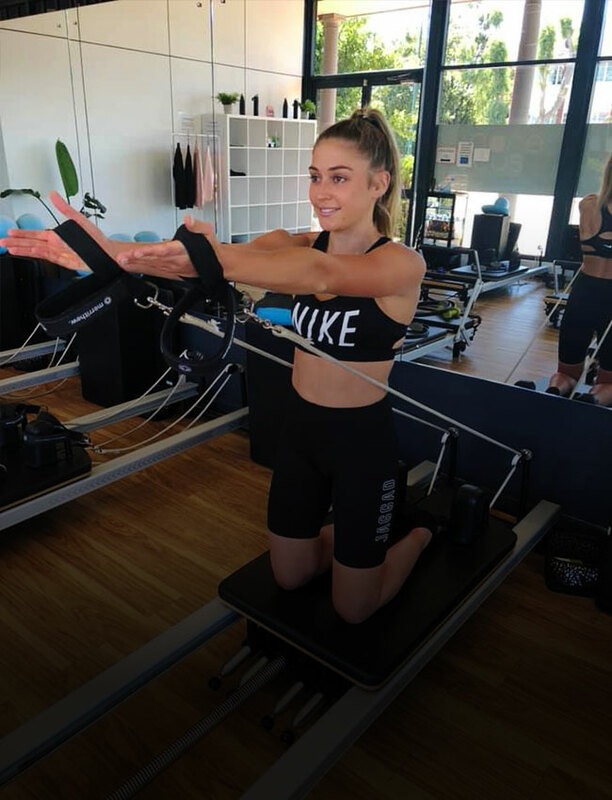 One of her highlights was becoming the Pilates instructor for Flight Centre Australia and Health Wise Global and currently is a MoveActive Ambassador. ​ in the studios! AUSTRALIA by Sporteluxe! in the studios! 2018 © CORE FOCUS PILATES AUSTRALIA PTY LTD. All Rights Reserved.